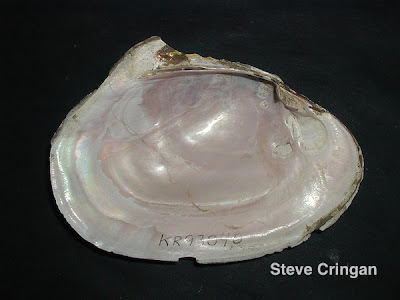 * Comments on Kansas River species provided by Steve Cringan, based in part on observations in: Angelo, R.T., M.S.Cringan, E.Hays, C.A.Goodrich, E.J.Miller, M.A.VanScoyoc, B.R.Simmons. 2009. 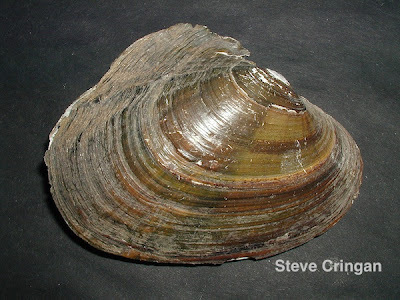 Historical Changes in the Occurrence and Distribution of Freshwater Mussels in Kansas, Great Plains Research 19(1):89-126. Data courtesy of Kansas Department of Health and Environment (KDHE). We would like to thank Steve Cringan and Clint Goodrich for their assistance.